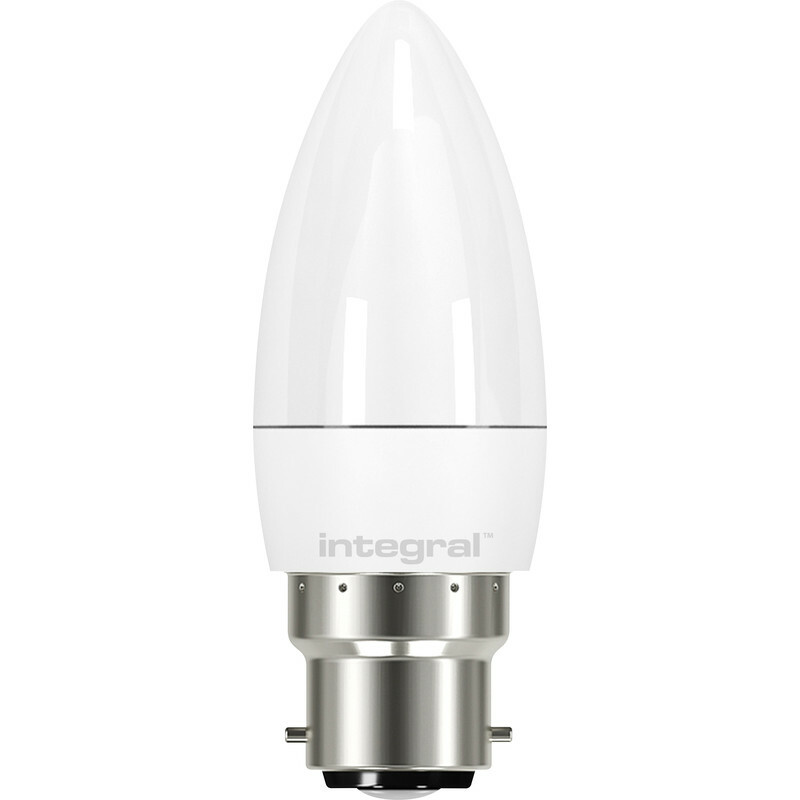 Integral LED Candle Frosted Lamp 3.4W BC (B22d) 250lm is rated 4.6 out of 5 by 11. Rated 5 out of 5 by Mogso from Good product Was having trouble finding the SBC version elsewhere so Toolstation has saved the day! Rated 5 out of 5 by gyhj from Mum likes They were for mother's 5 branch fitting. She likes them. Rated 5 out of 5 by Manta1944 from Brilliant Excellent light output, just what I wanted - hope they have a long life! Rated 5 out of 5 by diydon from Low wattage, instant warm light Replacement and more economical option for higher power bulbs in a multi bulb light fitting. Make sure the colour temperature is right for you. 2700K is a warm light.